The jar itself for these is actually quite nice looking, it’s a clear plastic with a rose gold, cream and pink design on it that makes it nice enough looking to have out on the side and the height makes it a good size to fit into any drawers, even the shallowest ones I have fit it easily. 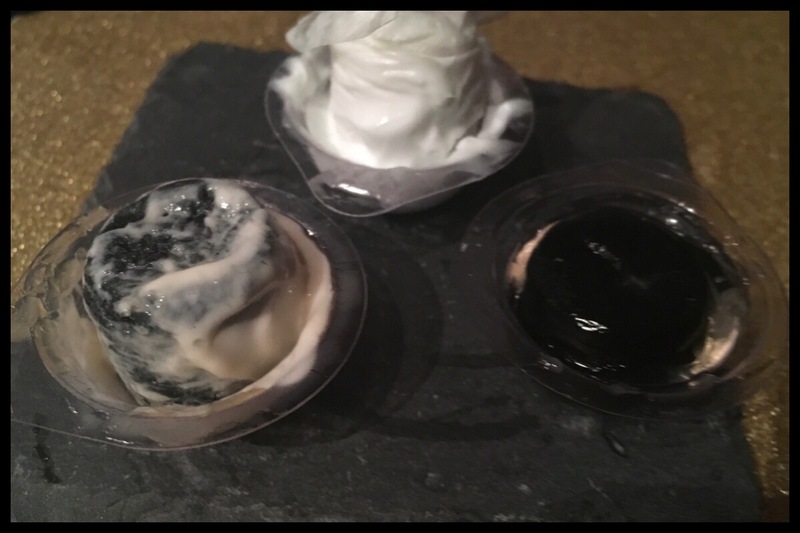 They individual masks are in separate pods, that seems the best way to describe them, where you peel off the lid and add your chosen liquid to the base for the mask to absorb. The size of the cup means you do have to refill it, or I did with most things I tried, for the mask to be able to properly unfold but when you do it should open easily. This particular brand, and others I’ve seen, claim you can choose your favourite moisturiser, toner or serum and turn them into a sheet mask. I tried it with some of my favourites, ones I use everyday and thought might be good as a mask for the skin benefits, so you can see how they all went. 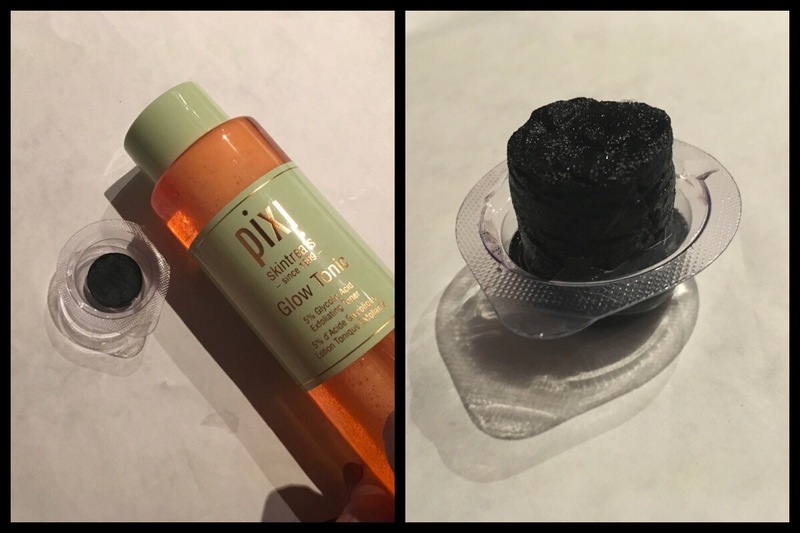 I did find that the most liquid product, the Pixi Glow Tonic, absorbed instantly and grew as I watched, whereas the others took longer. The most successful, probably predictably, was the sheet mask excess liquid which did grow but slowly. Some of the others took over 24 hours and were still solid pills so I would say that the claim isn’t exactly true. When it comes to the full sized mask, when they properly expand, are a good size though they are pretty much a circle which makes them quite a bit wider than a lot of sheet masks I’ve used in the past. Height wise my face isn’t the biggest but I’d say this sheet mask shape only just fit, though the nose and eye holes were well placed. The width did mean it overlapped onto my hair, which wasn’t the best feeling, but when I folded them back over themselves they stuck in place. The material itself is nice and soft, it had the feeling of a soft face wipe rather than the paper wet wipe type feeling some have. 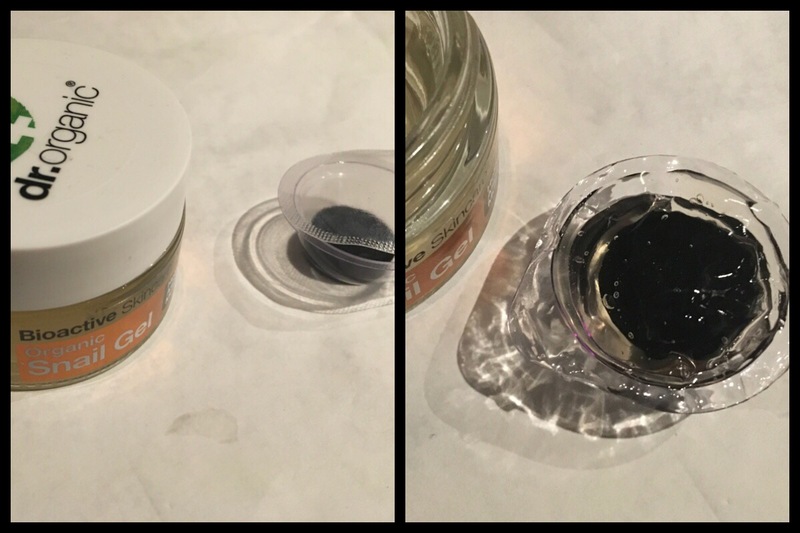 To be honest I didn’t see that much of a difference when it came to the skin care benefits of the charcoal masks versus the plain white sheet masks. I know charcoal tends to be for problem skin but I didn’t find any benefits beyond what the solution they were soaked in had n I used them before. 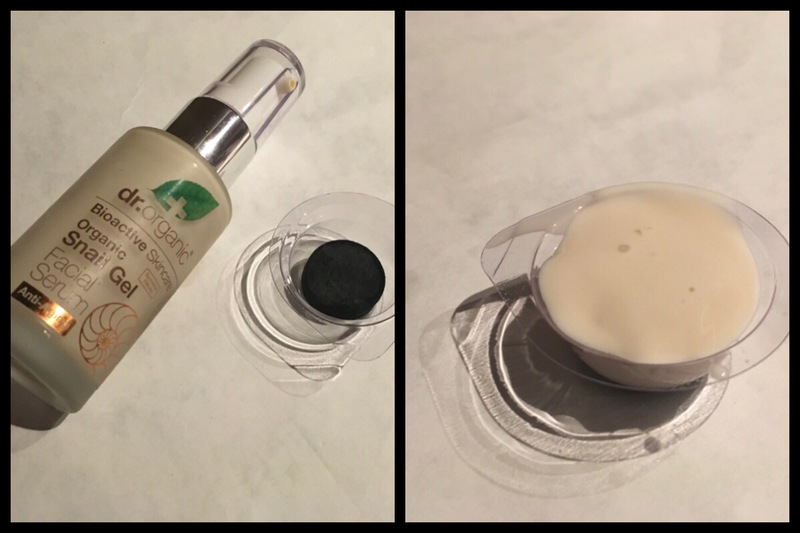 I thought I’d include photos of each of the ones I tried, though this photo shows the results of the three biggest challenges; the Boots Cucumber Moisturiser, Dr Organic Snail Gel Facial Serum and the Dr Organic Snail Gel. None of these were the biggest success but I’ll do a mini review of how they each turned out. 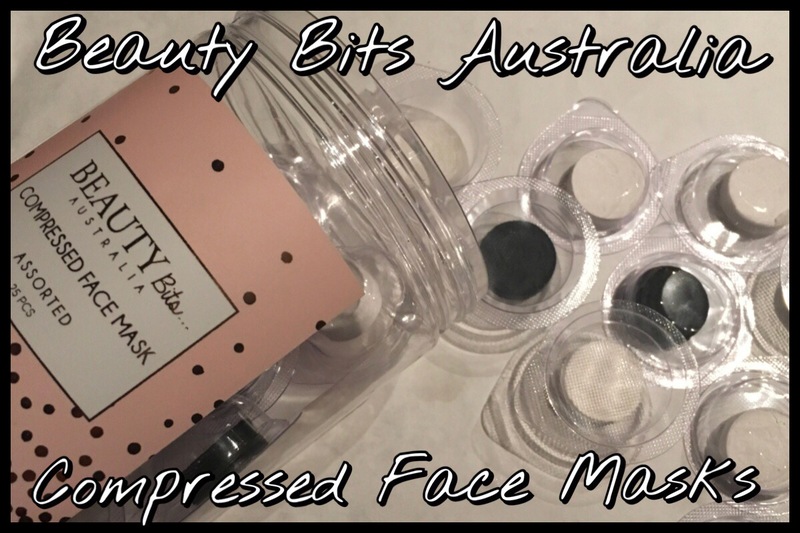 As I’ve actually reviewed each of the products already I’ll put links to the reviews in there so you can see what the products are like on their own, it might help as a better comparison to anything you would want to try than just the photos of me trying it out. The Tony Moly Broccoli sheet mask was the first I tried and, probably, the most successful. 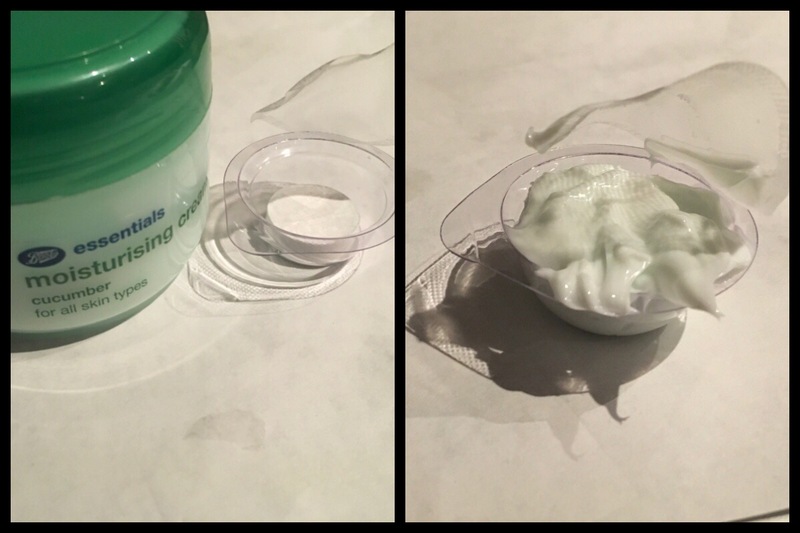 It did take about five minutes and at least one top up for the mask to expand and even then I ended up dropping the excess moisture in the pack onto the mask as I pulled it apart as it didn’t want to go in the very middle. I guess it’s because it’s a slightly thicker sheet mask formula but in general the sheet mask liquid was the best. As far as speed of growing and evenness of coverage the Pixi Glow Tonic was definitely the winner. It grew as I watched and was easy to pull apart. The only reason I wouldn’t recommend this is because it’s not a product that’s necessarily meant to be left on your skin to sit in a mask situation. I thunk toners in general would work really well for this, the closer to water the consistency is the better I think. I wouldn’t do this again but as it’s the only toner I had to try it with I wanted to give it a go as it was specifically mentioned. Surprisingly, to me anyway, the Boots Cucumber moisturiser was the third best. It’s easily the thickest formula but I think it might have more water in it than the others. It actually did work after the sheet mask had been sat in the moisturiser for 24 hours but I wouldn’t recommend a thicker face cream for it unless you know how to thin the product without ruining any skin care benefits. As a mask it was actually quite nice, just a bit rich and way too time consuming waiting. I was surprised at how badly the Dr Organic Snail Gel Facial Serum was compared to the others considering it was one of the thinnest consistency wise and one of the lightest on my skin normally. 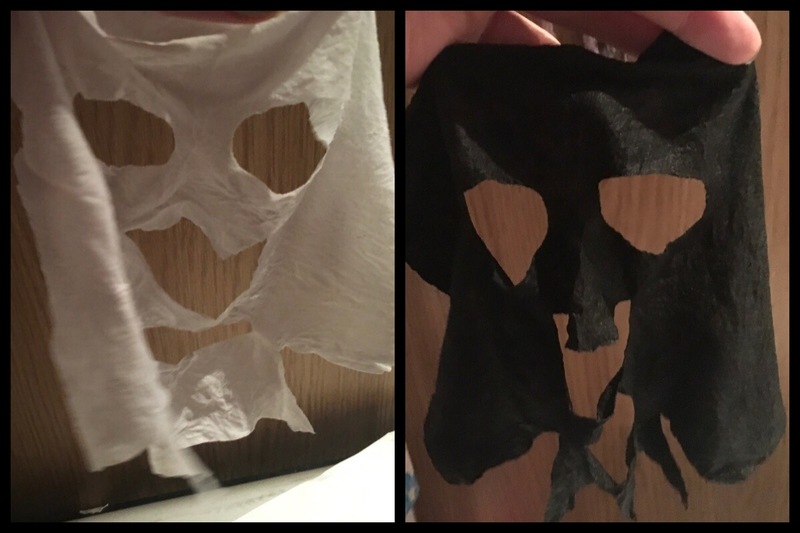 The sheet mask just did not want to soak in at all. After 24 hours the top and bottom of the pill had absorbed a bit but it was still compressed and the Serum was just sitting there. The Dr Organic Snail Gel itself was even less of a success. I will admit I think this looked the coolest when I was sitting it in there as you could just see it sitting there suspended in the jelly, it would actually make a good Halloween decoration, but as far as using the sheet mask it would be impossible. It didn’t even get the outer layer soft so this was definitely a failure. Maybe it’s the Snail Gel itself, something in there that stops it being absorbed that also did it for the serum but either way it didn’t work. There were a couple of things I realised when doing this. The main one was that water based solutions work best, which may be obvious to some people but I thought a thinner consistency one with more oil in it would have worked better than the very thick one with a more water based formula. 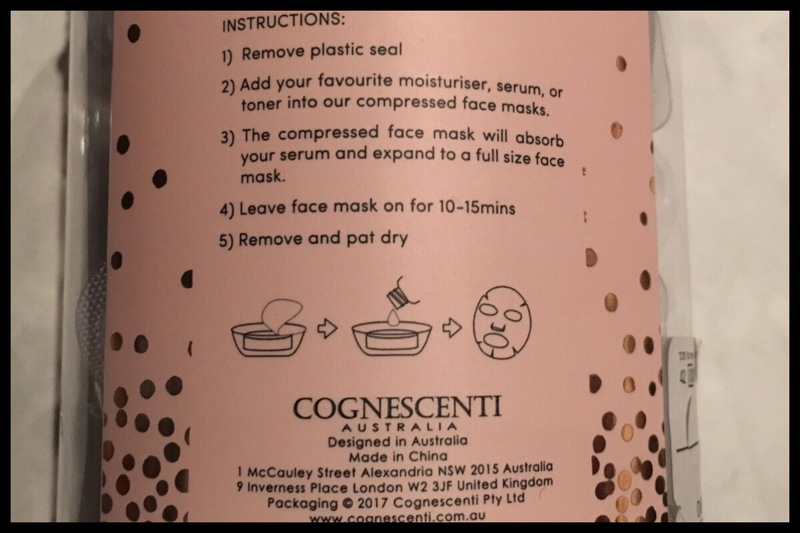 The second thing is that, whatever you decide to try it with, take the face mask tablet out, add some of the formula underneath and then add more on top. This makes it more evenly covered and you don’t have to get the tablet out and turn it around in there. This doesn’t matter if the liquid is thin enough but it definitely helped are the first one I used with excess sheet mask solution. Overall I was very happy with these. It was interesting to try them and see how they worked and I think in the future I’ll be getting some more, whether from this company or not depends on how easy they are to get really as I did love the feel of the masks themselves as well as how they worked. 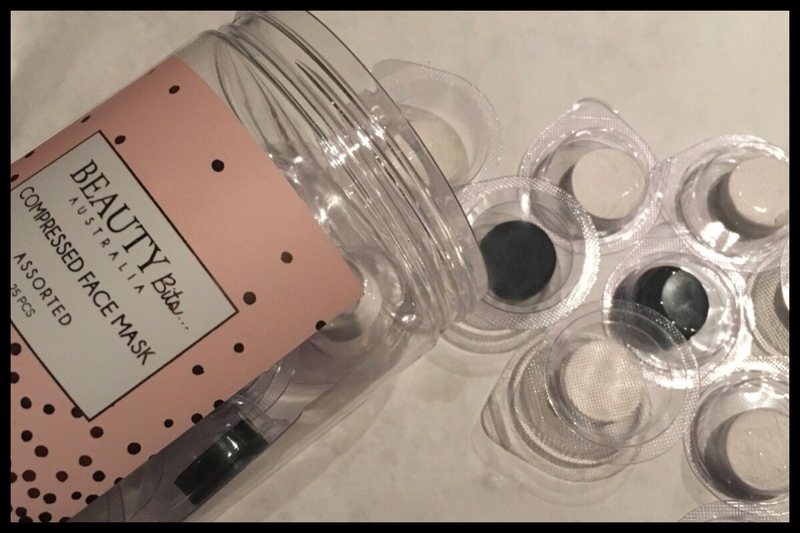 They are definitely worth getting if you like sheet masks and find, like me, that you end up with a lot of excess liquid in there after using them. This is a great way to get two sheet masks out of one pack and it’s a lot cheaper per mask than buying another full sheet mask, they work out at around 40p each which is less than getting sets on eBay and definitely less than individual sheet masks here in the UK. 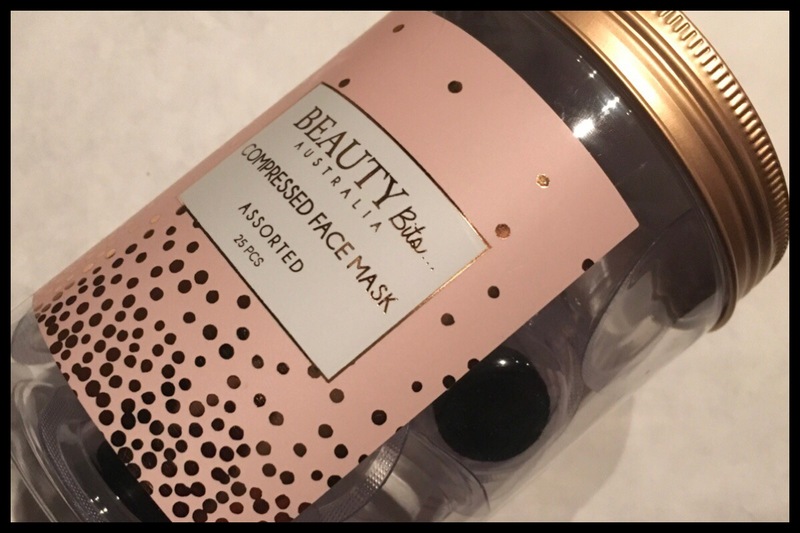 Have any of you tried compressed face masks? Did you get on with them or did they seem too much work for what they were or like a bit of a fad that’ll go away? If you have any companies to recommend I try next that’d be great as I have no idea which are the best and just got these as they were there rather than knowing anything about the brand. I’ve seen these at our version of TKMaxx (Winners) but I like the compressed masks from MUJI so I passed on these. I was curious if the charcoal black ones were really all that different than the white ones – now I know not much! 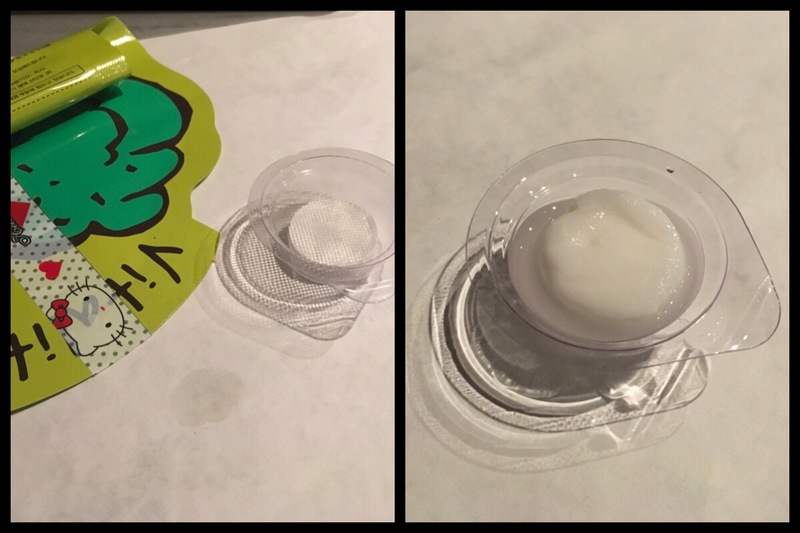 Smart that you used up the excess serum from an existing sheet mask! I often just slap the excess on my skin after I remove the sheet but a lot gets wasted. With my MUJI compress masks, I’ve had success with very watery light type of serum or just straight up hydrating toners – specifically I’ve had success with the Body Shop Vitamin E Aqua Boost Essence Lotion and MUJI High Moisturizing Toner. Anything too thick doesn’t want to absorb into sheets, I find. Yeah, I haven’t seen any benefits with the charcoal ones. Thanks for those recommendations, I’ll have to see if I can find a good thin toner my face likes and give that a go as I do like the sheet mask feeling and it makes it a lot cheaper per mask than any in the UK at the moment that I’ve found. It does work well using up the excess sheet mask formula, it seems to be the perfect amount of liquid for it as well in the Tony Moly ones. I’ll have to have a look out and see what other makes of these compressed ones we can get in the UK as the stock changes so much in TK Maxx and I really like the idea of getting use out of all of the sheet mask liquid.